If you think you have done it all please read on! 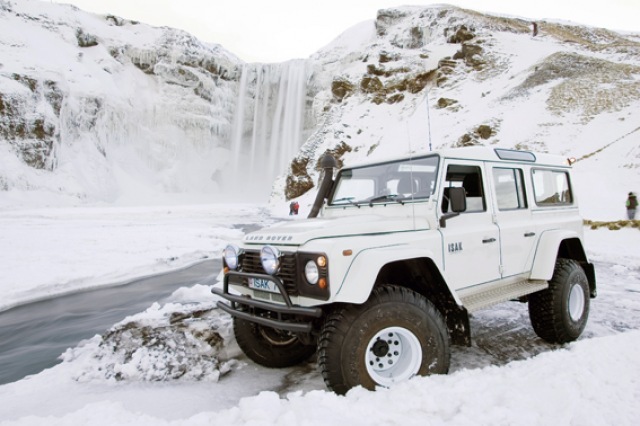 This is the most adventurous winter and spring tour Iceland has to offer. 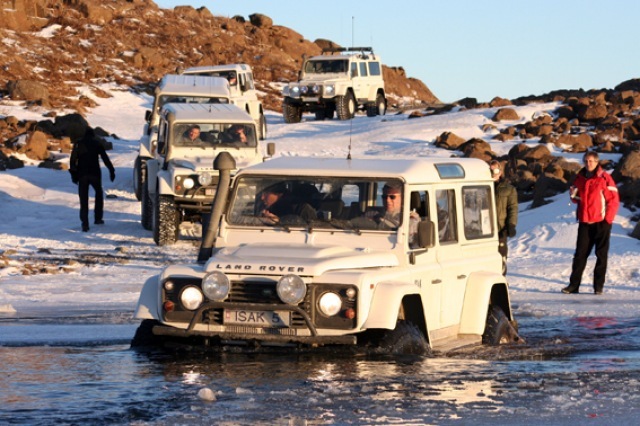 In the morning our expedition team will meet you at your accommodation and brief you on the adventure lying in ahead. 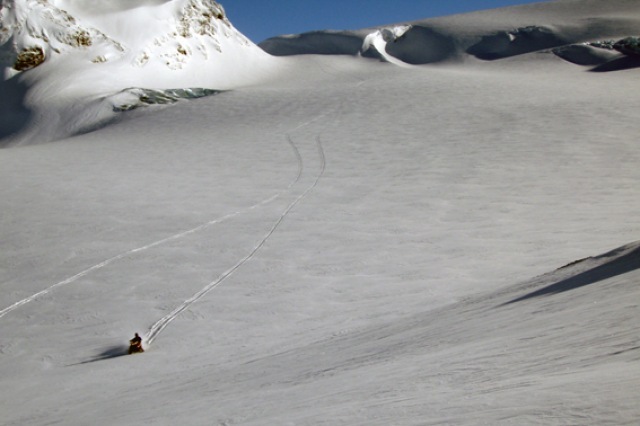 Depending on the weather forecast and the current track conditions we will choose which glacier we will traverse. 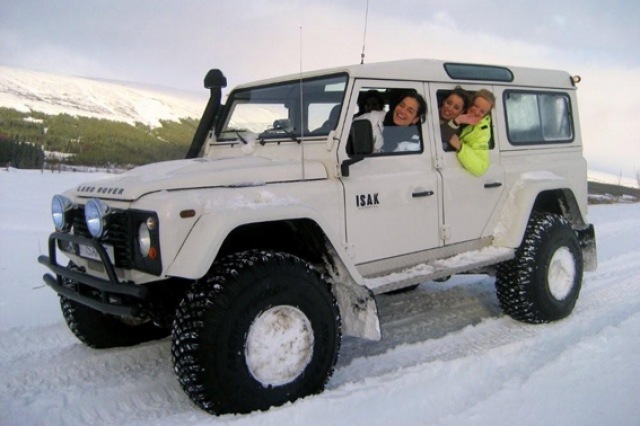 Likely glaciers include the Langjökull or Hofsjökull both are with in 250 kilometers from Reykjavík, both of which will provide us with magnificent snow and off-road driving. 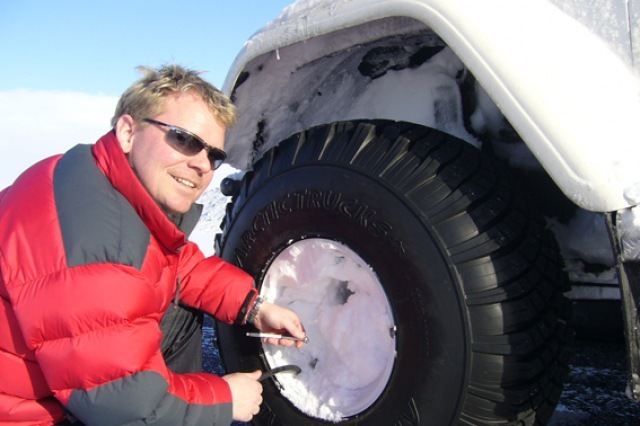 Your Super Defender on huge 38″ tires is standing in front of your accommodation ready for to drive. 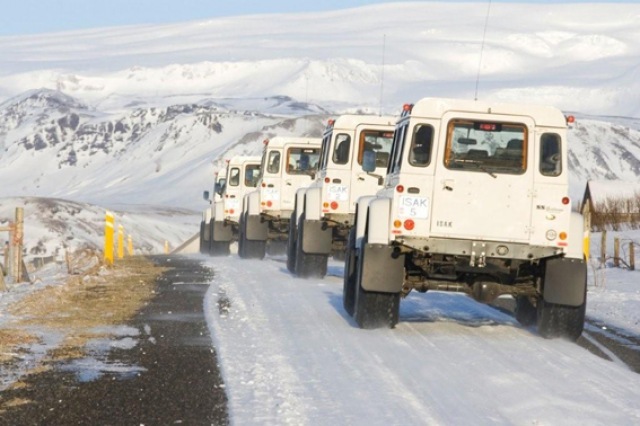 The convoy with the guiding vehicle in front and an additional back up car leaves civilization, all the trucks are connected through VHF radio so you can always reach your guide. 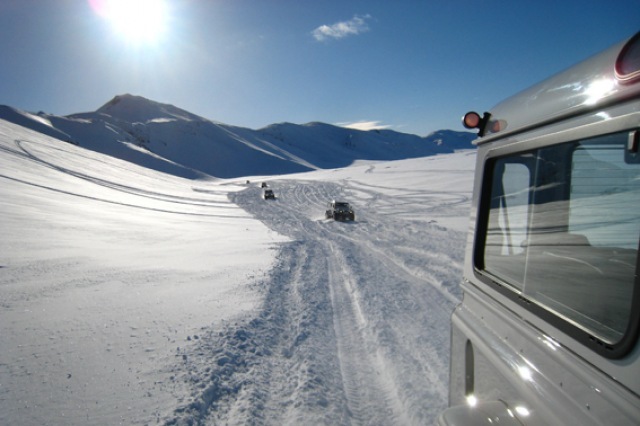 On our way to the glacier we will hold small training sessions with the Super Defenders preparing you for the tough conditions on the glacier. Reaching the edge of the glacier we will deflate our tires enabling the cars to float on the snow covered glacier plateaus where we enjoy breathtaking views over peaks and mountains. 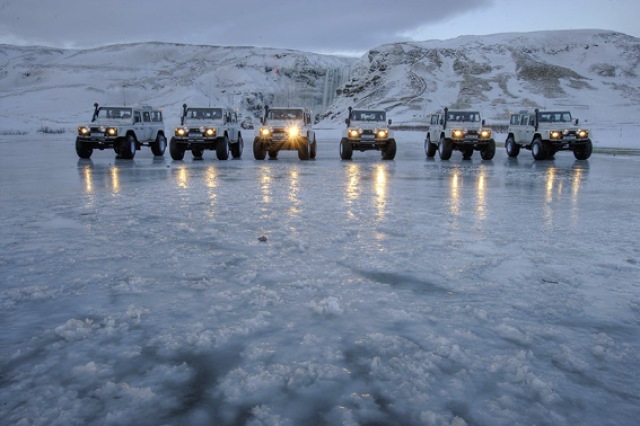 Our glacier experts choose the right spot for our camp. Everybody’s hand is needed setting up the expedition tents and preparing food for the team. So far away from artificial light we have good chances seeing the Northern Lights* before everybody gets a rest below the arctic sky. 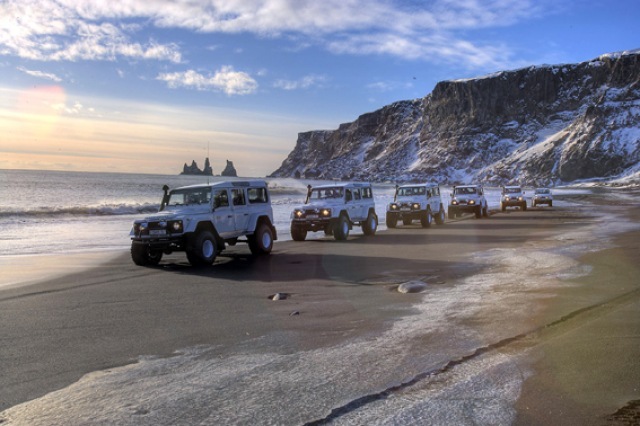 This an unforgettable glacier experience. The next morning we make our way back down the glacier and visit natural sights along the way. We are back in Reykjavik in the late afternoon. *When they are in season, November-February. Distance from Reykjavik: approx 200 km. Duration of trip: approx 2 days, 1 night. Available: November-July, best season early March through May. (Depending on weather and glacier conditions). Minimum: 4 persons. Maximum: 40 persons. Age limit: 16 years. 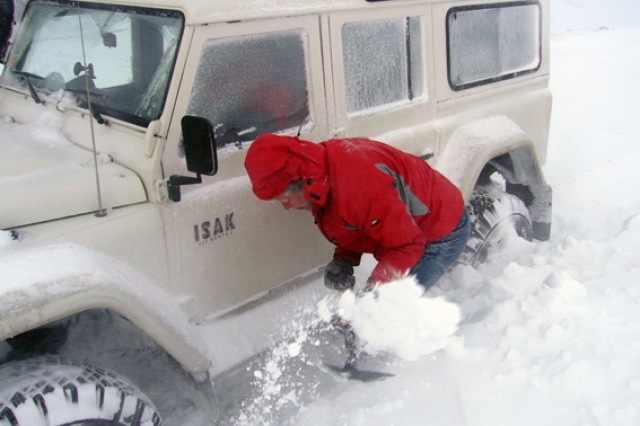 Bring with you: Very Very Warm outdoor clothing, waterproof jacket and pants. Warm gloves, warm socks, warm sweater and warm undergarments. Dress like you are going to the North Pole! Good hiking shoes are necessary! No knowledge of the sport required. Drivers have to be over 25 years old and have valid drivers licenses. 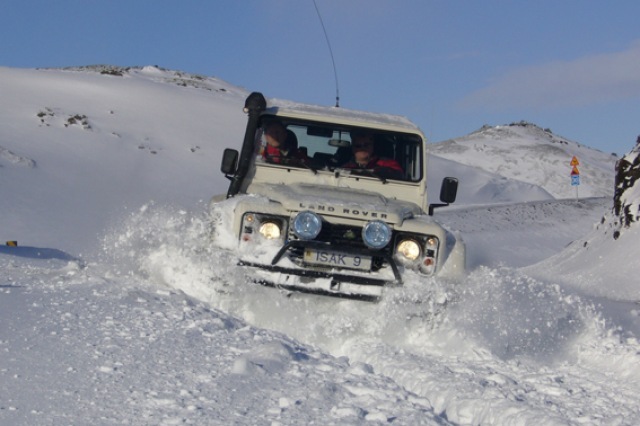 Includes: Pick up from accommodation, self drive super-defenders including fuel for 2 days, glacier and super-jeep guides and all necessary equipment to sleep on a glacier including sleeping bag. Lunch and dinner on day one and breakfast and lunch on day two included.